SOLAR FAQ - Answers to solar questions. SOLAR FAQ - Answers to solar questions. Why does one solar system cost so much more than the other? Looking at prices in the marketplace one can hardly be blamed for thinking that there is something fishy going on. Prices vary dramatically and its very hard to tell the difference between brands. There are basically three types of equipment in this industry – premium, standard and cheap. These are somewhat reflected by the green, gold and silver badges in our store. At Ecoelectric the margin on all our systems is the same. Furthermore we use a ‘premium’ electrical and rail kit on all our products. So the different that you see in price is the cost difference on the panels and inverter. What is the difference? Over a 5kW system the difference between LG (Green) and Trina (Gold) is nearly $2000. For the inverter the difference between ABB Aurora and Samil is about $600. And if you were to look at some of the Chinese imports such as Black Opal or German Solar (Silver) the difference would be another $1000 again. We are also constantly flooded with marketing from cheap importers offering ‘crazy’ panel prices which would enable us to sell a 5kW system for around $4K, but experience has shown us that these importers disappear and that the fail rates are high. Who are the best retailers for solar PV? AGL and Origin pay 6c and 8c respectively. When choosing a retailer it is important to consider the export rate—as well as the import rate AND any other discounts or conditions. Due to the number of retailers and the complexity of electricity pricing we cant recommend a ‘best’ provider however we do recommend either AGL or Origin for any system which may involve export. Please note that export is currently around a break even return for solar making usage based systems the predominant purchasing decision. Usage based systems are still VERY viable. Click Energy are currently paying 10c per kWhr. What are the differences between mono and poly panels? Mono panels degrade slower than polys but polys tend to handle heat better than monos. In saying that the market now features many ‘multi’ panels and other varieties such as hybrid and thin film. We recommend using the panels which will give you the best cost point – that being a factor between price, output and rate of degradation. We constantly scan reports such as Photon to ensure we are offering the best combination in every range. What are the differences between your Tier One Systems (Gold) and Tier Two Systems (Silver)? We have produced a range of solar systems to cater primarily for different budget circumstances. Our Tier One (Gold) systems will produce more and last longer than our Tier Two (Silver) systems however we have painstakingly tested the components in both ranges. The racking, electrical materials kit and installation standards are the same across both ranges as is warranty and service. For tier one you can expect 4.15kWhr per day per kW installed. For tier two the production is very close at 4kWhr per day per kW installed. It is proven however, that Tier one equipment will degrade slower over time thereby maximizing investment in the long term. The final primary difference is that Tier One is strictly from very established manufacturers with proven service records. The tier two equipment is our pick of the ever changing import landscape. Is it Made in Germany or insert country here? This has long been a question sprouted by the solar and many other industries in an attempt to make their products look superior to others. The fact is it doesn’t matter where it is designed—or made. What matters is how well it works—and how long it works for. We have complete confidence in all our products but not because of where they are made. If you do want to know where they are made please ask and we will send you a spec sheet with links to the relevant information. Most panels these days are made in China including our Trina and ET Solar panels. 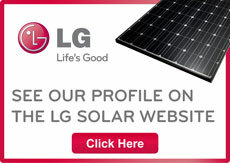 Our LG panels are made in South Korea. Does the orientation of the roof affect whether or not a home can successfully install a solar product? Yes. We use design software developed by the Australian Solar Council to determine your output. The best aspect in the southern hemisphere is north but both west and east can produce very viable returns. We can provide a free performance estimate within 3 days using our web and design technology. A guaranteed production estimate is then provided after a detailed site visit. Is mains electricity still needed? Yes ‘grid connect’ solar does not take you off grid nor will it provide power during short outages. It is designed to save and produce power only. 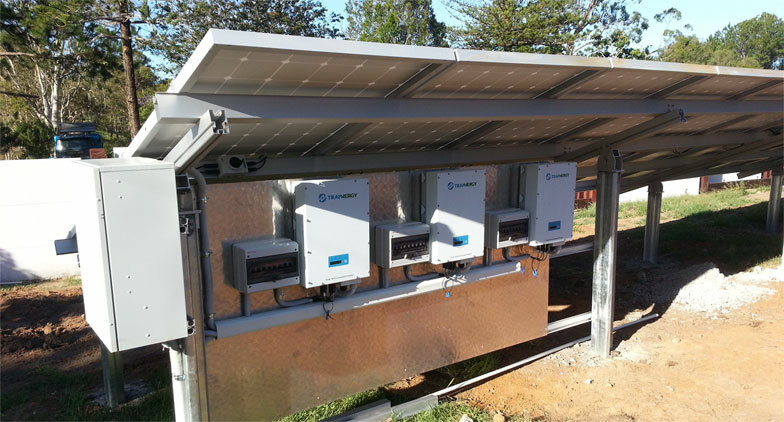 There are hybrid and off grid systems available (watch this space) however they are currently expensive and aimed at areas where supply is not available. What are Small-scale Technology Certificates (STCs)? STCs are created under the government’s Small Scale Renewable Energy Scheme. SRES is part of the government’s Renewable Energy Target initiative which create a financial incentive for investment in renewable energy sources through the creation and sale of certificates. Each STC represents 1 MWh (Megawatt hour) of energy able to be produced. STCs are created when you purchase qualifying solar hot water, wind power systems or residential solar PV systems. SRES and the associated creation and sale of STCs was devised to encourage Australians to take action to help meet the government’s 20% renewable energy target by 2020. The value of the STCs you are eligible for varies depending on your location and zone rating, the size of the system you install and the market value for STCs. Website’s such as the Government’s Office of Renewable Energy Regulator site have solar STC calculators, providing a guide to the number of STCs your system could be worth. All of our prices are after STC ie the price is dependent upon the STC’s been handled by us. We highly recommend that you do not attempt to trade your own STC’s as the market is volatile, complicated and risky. Our market value accounts for these factors and ensures your purchase process is as smooth as possible. It is worth noting that the STC Clearing House is the only place that consumers can sell STC’s and that it has *never* hit the $40 threshold which would allow that to happen. Registered ORER agents such as Ecoelectric are licensed to sell STC on the open market at any value. What is a feed-in tariff? A feed–in tariff is the rate paid for any electricity your solar PV system feeds into the grid. The rate which is paid varies depending on your state and whether you are eligible for a government feed–in tariff or not. The current rate in QLD is 8c for systems with an *invertor size* not exceeding 5kW plus any retailer incentives. Please note that export is not the primary reason for installing domestic or commercial solar—useage is the key. Your invertor is powered from the sun. At night it will switch off leaving on only a small readout screen and turning off all output. This is normal operation. Each morning at a certain level of light it will switch back on. What happens on cloudy days? The performance of the PV system will be less—we take into account all weather factors during our performance assessment. Your system is guaranteed to produce as per our assessment—in fact in most cases it will well exceed it. What will happen during a blackout? For safety reasons, in the event of a blackout, your solar PV system will stop producing electricity. This safety measure is mandatory and has been put in place to protect anyone working on the blacked-out grid system. As soon as the grid is back online, your solar PV system’s ability to generate will be restored. How much electricity does a solar PV system produce? There are a number of factors that will affect how much electricity a system will produce. The orientation of the panels, where you live in Australia, any shading of your panels and the amount of sunlight on a given day will all affect how much energy the solar PV system produces. The national average is 4kW per day per kW installed. Will my panels be damaged by hail? This is a very commmon question – the answer is no. Solar panels have already been through some ripper hail storms both in Brisbane and elsewhere around Australia and the world. We do not have a single report to date of panels been broken by hail although obviously an act of god ie cricket ball plus size hail could *possibly* cause some damage. We have replaced panels that have been broken by falling trees during heavy storms but on one occasion only – at our office! Solar panels are tested for hail damage in the factory by firing stainless steel balls from a rifle – they are designed to withstand a 400kg point impact so if there is anything that shouldnt stop you from buying solar its hail. Update – we have now seen hail damage from cricket ball type sizes. This is covered by standard home insurance. Are my panels covered by home insurance? Yes solar systems are ‘building integrated’ ie they are attached permanently to your home. They are therefore automatically covered by standard home insurance. What are the eligibility conditions for the 44c tarrif? All this export usage is complicated cant I just let it run? Yes but it will be far from the best benefit. There are two ways too run a import export solar system. If one has a high FIT it is best to schedule as much power usage as possible outside of the solar production primary hours (10-3pm ish). If one has a low ie the new 8c FIT then the best method of operation is to use power during those hours. This means shifting the operation time of things like dishwashers, washing machines, pool pumps, storage hot water systems and so on. My inverter never peaks but I have the same or more panels? This is a very common concern but has very little meaning in terms of production or return. But generally speaking it is very rare for a kW to kW matched system to reach maximum output due to losses in the design – many of which cannot be avoided. For example dirt alone can account for 10-20% – temperature will also have a noticeable effect as panels are tested at 25 degrees Celsius. Pitch and orientation is another factor as is internal losses in the inverter and cabling. Most of these factors there is little anyone can do to change them beyond better designs (cabling) and higher quality components (panels and inverters) however dirt and temperature vary with conditions and have a dramatic role to play in output. Solar panels run at around 50 degrees on the roof and are very hot to touch in full summer sun. Once they reach 25 degrees they loose 0.4 or so percent of output for every extra degree of temperature. As an example at 50 degrees a 250W panel will loose around 10% of its output therefore making it a 225W panel. Temperature also comes into play with inverter output as most inverters will drop their output during high temperature conditions for protection reasons. In this case a 5kW inverter can become a 3.5kW inverter. For this reason the highest output of a solar system may not be in the middle of summer and elevated locations with good airflow will achieve higher readings. Inverters should not be installed in low airflow environments and panels should be installed with a good air gap between and under rows. All those panels crammed up to look like one big sail? It might look cool but its actually bad design. We mention these in the same paragraph because dirt will have the same effect as shade and shade is the dirty word in the solar industry. For every few hundred systems out there that are working exceptionally well there are some that have been installed in locations which will result in terrible output and a negative return on investment! Basically speaking when a solar panel is shaded by whatever be it dirt, a cloud, a TV aerial, a tree or a power line the shaded component will become an electrical load and will draw power from the system thereby dramatically and in many cases logarithmic-ally reducing the output of the solar system. In very simple terms if you shade one you will loose two – if you shade two you will loose four and so on. For these reasons it is important to place solar panels in locations that are not shaded and not exposed to large amounts of dirt – for example installing solar panels next to a coal mine will not produce high output and panels may need to be cleaned after say construction was completed across the road and so on (higher amount of dust moving through the air). From a dirty word to the holy grail of solar production – the cloud edge effect. This is the point at which panels which may have been cooled through rain and cloud are suddenly exposed to full sun after a middle of the day storm. It is generally the point during which a system will reach its highest output especially if its during the summer months.